The Perdido Key Area offers daytime access to the Gulf of Mexico and white sandy beaches. Visitors must pay a park entrance fee when they arrive at the area. Groups may reserve picnic shelters. Lifeguards are on duty during the summer months, but visitors should review the park's safety page and be especially mindful of rip currents before visiting. Beach wheelchairs are available. By Florida State Law, pets are not allowed on beaches. Visitors may picnic, fish, hike, swim, and bike at this location. 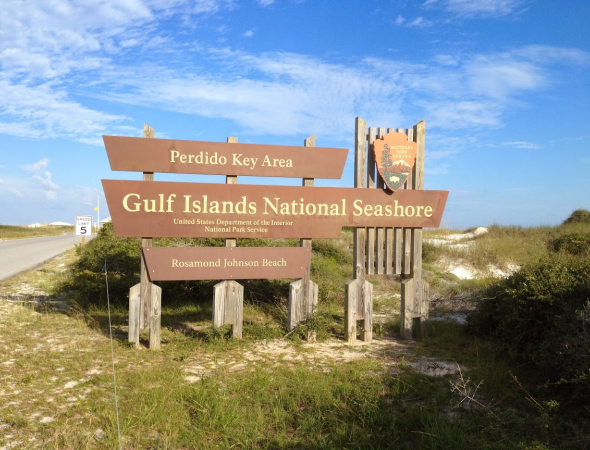 The Perdido Key Discovery Trail is an accessible elevated trail. Parking is available along the beach road unless otherwise posted.